“In partnership with Seattle Parks and Recreation, this program supports neighborhood arts councils, community-based groups, and individual artists that are seeking to activate eligible Seattle Parks in underserved and economically constrained areas of the city with new and established festivals or events that promote arts and cultural participation, celebrate diversity, build community connections, and activate parks through arts and culture while connecting with under-resourced communities including low-income, people with disabilities, immigrant and refugee communities, and communities of color. “Eligibility and Funding Individual artists, neighborhood arts councils and local community-based groups are eligible. Organizations and individual artists representing under-resourced communities including low-income, immigrant and refugee communities, and communities of color are encouraged to apply. Proposed projects must be presented between April 1 and December 15, 2019. Eligible applicants may request up to $7,800 one-year funding to support direct project expenses. See guidelines for details. 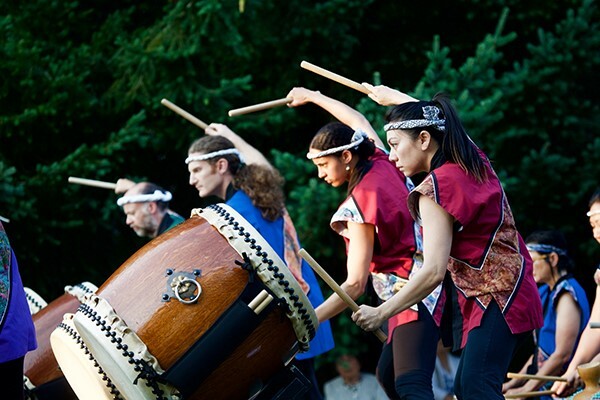 “Neighborhood & Community Arts grant 2019 (NCA) Seattle offers an extraordinary array of arts and cultural events throughout its diverse neighborhoods and communities. The Office of Arts & Culture’s Neighborhood & Community Arts (NCA) Program supports creativity at a grassroots level by investing in recurring festivals or events that promote arts and cultural participation, celebrate diversity, build community connections, and enhance the visibility of neighborhoods through arts and culture. “Eligibility and Funding Neighborhood arts councils and local community-based groups serving diverse cultures and neighborhoods that have been in existence for at least one year at the time of application. Groups representing under-resourced communities including low-income, people with disabilities, immigrant and refugee communities, and communities of color are encouraged to apply. Proposed projects must take place within the City of Seattle and be should be presented no earlier than January 1, 2019 and produced in 2019 and 2020. Applicants will receive two (2) years of funding at $1,300 per year for their events in 2019 and 2020. See guidelines for details. “Application Find the guidelines for AIP here and, NCA here. “Workshops Learn what makes a strong application, including information about other funding programs. This interactive question-and-answer session will cover specifics on eligibility and how to apply. First time applicants are encouraged to attend. Info: Contact Jenny Crooks at (206) 684-7084 or e-mail at jenny.crooks@seattle.gov.